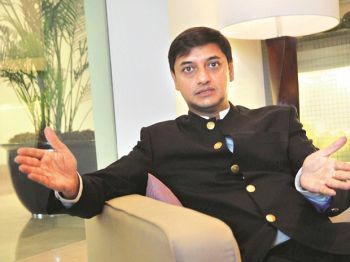 As the Centre deals with the fallout of cash shortage in certain parts of the country, Principal Economic Advisor in the finance ministry, Sanjeev Sanyal, bottom, left, tells Arup Roychoudhury that the demand for cash has seen a spike of late. The government says that the demand for cash has been growing in the last three months. Why does cash shortage still persist? There has been a spike in demand as the finance minister rightly pointed out. But it has only been in the last few days that it has reached a point where the public at large is increasingly concerned. We are putting together a fast response. 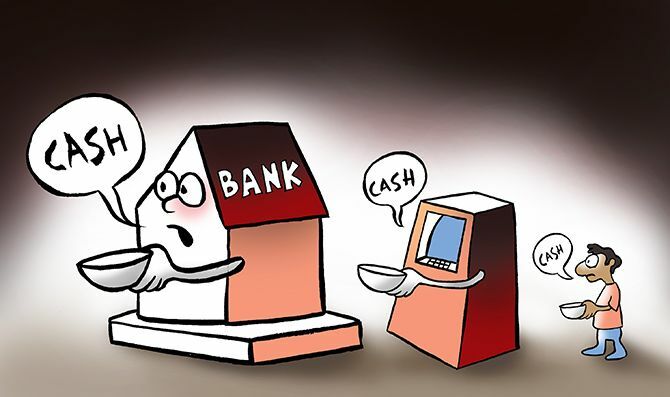 There is clear coordination between the RBI and the finance ministry in ensuring additional cash is supplied to all those areas where the shortages have occurred. This will be taken care of in days, not weeks. Has the government and the RBI figured out reasons why such spikes have occurred? As with any large economy, the demand for cash does vary quite a bit. There is always some degree of space in which it varies, and we do not always get concerned by that. Nevertheless, this particular episode is very unusual and while I would not like to speculate at this juncture what has caused this spike, I think the first order of response has got to be that this demand be met quickly. Have people been hoarding cash due to recent incidents and scams? Let me say it would be very odd for such a thing to occur now. We have now cleaned up the banks, which are now better capitalised, the NPAs have been written down and recognised and now, in fact, we are on the other side of the process where we are auctioning off these assets and retrieving some money. While there are all kinds of rumour-mongering in any economy, let me assure the public that there is no reason to panic and there are more than adequate reserves of cash in the system, and more will be made available to ensure everybody has as much cash as they need. How long do you expect these problems to continue? As things stand right now, it is a short-term logistical issue. There is a larger issue of trying to understand why exactly we have this unusual spike. That we will need to examine and respond accordingly. It is very important that we do not have any knee-jerk reaction to these spikes and we need to make sure there is enough cash available, and the public needs to be assured that when they need cash, they have access to it and that the health of banks has nothing to do with it. Now the printing of cash will be ramped up as necessary, especially of the lower denominations.